The IL25A die from Aurora, Illinois is ascribed to the shop of S.D. Childs. 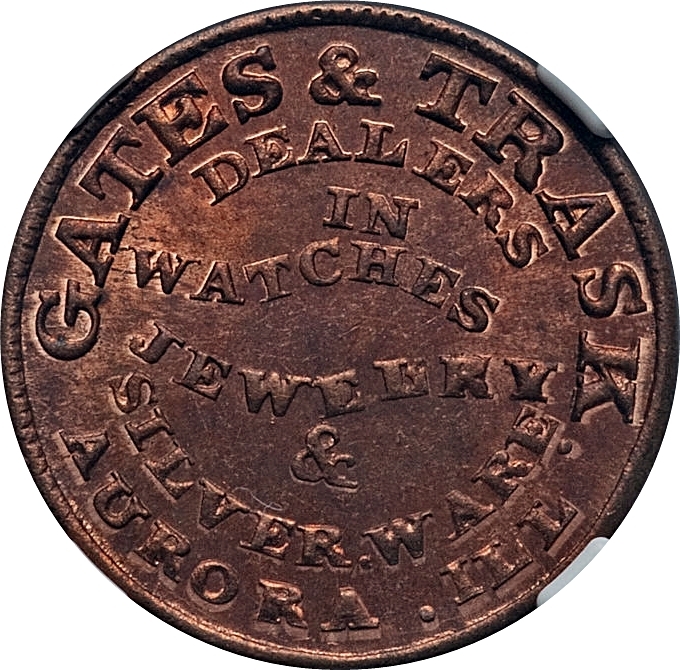 Childs was a prolific token manufacturer. His dies commonly make use of a woman’s head and most of his dies use sans-serif lettering. 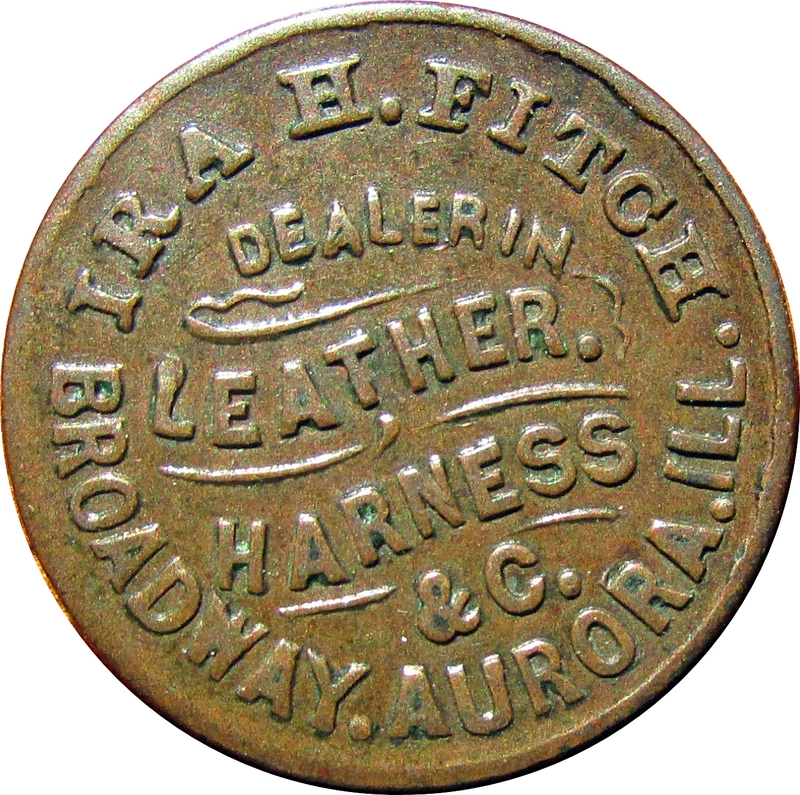 He also produced Sutler tokens. The IL25B die is ascribed to F.N. 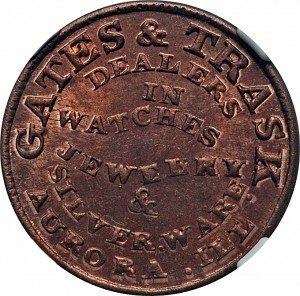 Dubois and as is typical, he used the F-1368 reverse die, meaning that the token was likely made prior to the Civil War. IRA H. Fitch / Dealer In / Leather. / Harness / &C. / Broadway.Aurora.Ill.